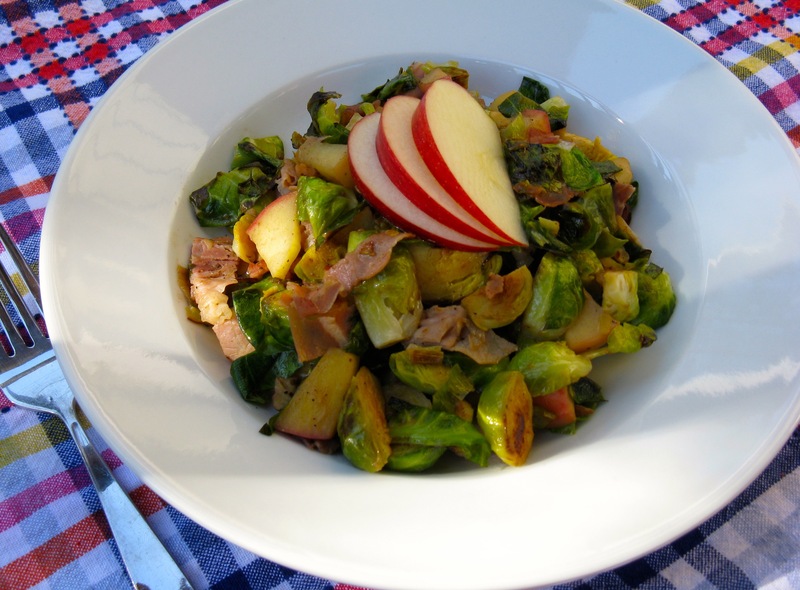 This Brussels sprout hash is incredible and yields the perfect combination of salty, sweet, and savory. It’s a beautiful thing, folks. I literally threw it together the other day for lunch, and oohed and aahed the whole time I ate it. This recipe came together on a whim and without a plan, which is one of my favorite ways to create and test recipes. There has to be motivation and joy behind it though, otherwise, things are likely to not work out. Melt the coconut oil in a large pan over medium heat. Add the leek and brussel sprouts, and season to taste with pepper. Saute for about 5 minutes or until Brussels sprouts are browned. Next, add the apple and prosciutto, and continue to cook for a few minutes more. Mix in the Dijon and chicken broth, and let cook for a minute or two longer. Stir in the pecans, remove from heat and serve. Happy to see a vegetable recipe… I need plenty of incentive to consume more plants! Oh goodness! This looks amazing. It’s everything I like in one easy bowl! I been experimenting with leeks for the past few months but haven’t made anything particularly successful. I am so going I try this! I know, I love one-dish meals! Oh yes, please try leeks again…they are so wonderful! They pair really nicely with apples or even pears. Thanks for the idea Alisa. Just bought another package of brussel sprouts on Sunday. This looks amazing. I have been doing a lot of brussel sprouts in browned (grass fed) butter with cajun spices! I never knew I liked sprouts as much as I do! 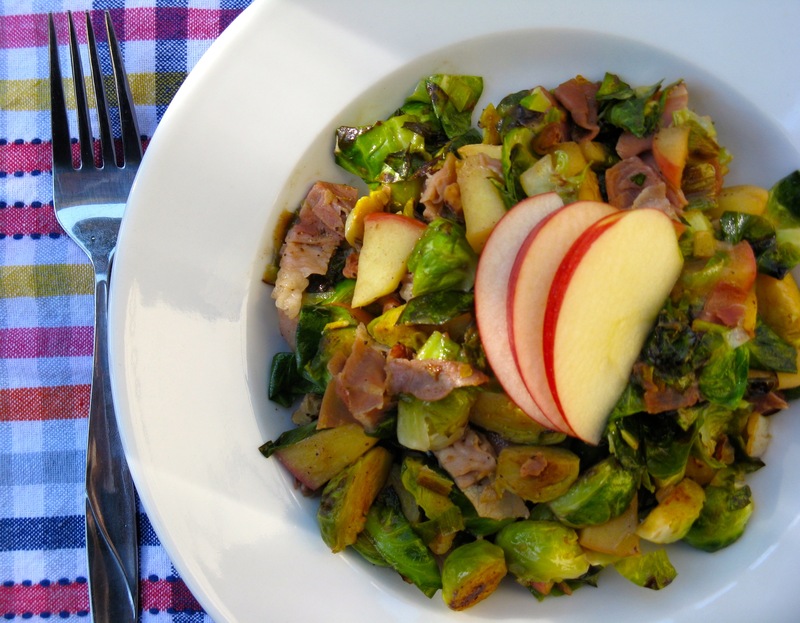 Mmmm brussels and apple beautiful spring meal! MMMM, two of my favorites !!! !